In our time of rising xenophobia, ethnic nationalism and raging populism, Václav Havel, if he is remembered at all, seems anachronistic, a quaint figure from a bygone era. The first president of post-communist Czechoslovakia, Havel (1936-2011) was elected during the “Velvet Revolution” in December 1989, barely a month after the fall of the Berlin Wall and just days after Soviet control of Czechoslovakia collapsed. After the 1992 “Velvet Divorce” split the country into the Czech Republic and Slovakia, Havel served as Czech Republic president from 1993 to 2003. Although both Czechoslovakia’s last president and the Czech Republic’s first, Havel was more than just president of two countries. He was also a towering moral symbol in Eastern Europe’s remarkable transition to democracy in the 1990s after decades of communist rule. 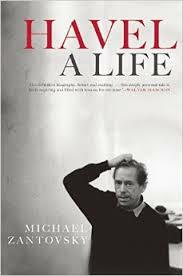 Michael Zantovsky demonstrates in his engaging biography, Havel: A Life, how Havel was instrumental in bringing about the demise of communism in Eastern Europe, “one of the most dramatic social transitions of recent history” (p.1). As president of two countries, Havel should be credited with “finally putting to rest one of the most alluring utopias of all time” (p.1). Havel may fairly be paired with Nelson Mandela, the most visible and best-known engineer of late 20th century transitions to democracy. Before becoming political leaders, both Mandela and Havel were jailed on account of their dissident activities. Like Mandela, Havel advocated non-violence “not only as a matter of moral principle but as a weapon of political struggle” (p.437). But unlike Mandela, who was a man of action par excellence – a boxer as a young man, then a civil rights lawyer – Havel was an intellectual par excellence. Zantovsky describes Havel as a “formidable thinker, who consistently attempted to apply the results of his thinking process . . . to his practical engagement in the realm of politics” (p.1-2). Havel’s deep thinking on the individual in the modern state is as much a part of his legacy as his actual steering of Czechoslovakia and the Czech Republic through the post-communist years. Havel was already known as a playwright when he became a dissident challenging the communist regime in Czechoslovakia. If he had never entered politics, we would likely remember him as one of the 20th century’s most noteworthy playwrights, on par with the likes of Eugène Ionesco, Samuel Beckett and Berthold Brecht. Zantovsky’s book divides into two roughly equal parts: Havel the playwright and dissident in the first half; Havel the politician in the second. 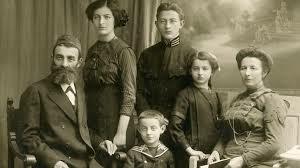 Zantovsky himself is an important figure in his story. A clinical psychologist by training, a correspondent for Reuters, and once an aspiring rock music lyricist, Zantovsky served as a primary advisor and press secretary to Havel during the early transition years. Later, he received appointments as Czech Ambassador to both the United States and the United Kingdom. Zantovsky admits to having shared with Havel “many laughs, moments of sadness, quite a few drinks and some incredible moments together, both before and after he became president” (p.5). Zantovsky’s insider’s view, seen only rarely in biography, does not preclude him from presenting a balanced portrait of his one-time boss that includes Havel’s shortcomings and failures. 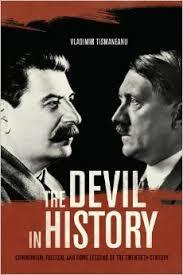 Zantovsky also indicates that this is his first book in English. His crisp, straightforward style, coupled with wry observations and humorous digressions, reveals a high comfort level not only with his subject but also with the English language. Havel’s early years coincided with the critical events that marked the life of his country and indelibly shaped his adult perspective. 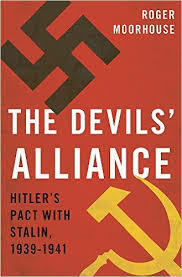 In 1938, when Havel was two, France and Great Britain abandoned the defense of Czechoslovakia to Nazi Germany in the infamous Munich accords of 1938, the “prime trauma of modern Czechoslovak history” (p.336). 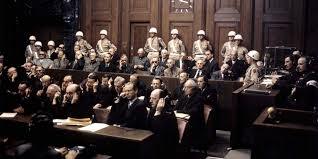 The Nazis invaded the country in March 1939. After their defeat in World War II, Stalinists in 1948 seized control of the Czechoslovak government in a non-violent putsch and instituted a communist regime that lasted four decades, until the Velvet Revolution of 1989 (these events are set forth in Prague Winter, the memoir of Madeline Albright, a fellow Czech native and prominent contemporary and friend of Havel, reviewed here in May 2013). Havel grew up in comfortable circumstances, but his moderately wealthy bourgeois background was not an asset once the communists came to power in Czechoslovakia. Havel’s privileged upbringing left him feeling “’alone, inferior, lost, ridiculed’ and humbled” (p.21). This feeling of being outcast, isolated and unfairly privileged, Zantovsky writes, “remained with Havel throughout his life. In his own thinking it endowed him with a lifelong perspective from ‘below’ or from the ‘outside.’” (p.21). From his teens onward, Havel was a “leader, setting agendas, walking at the front, showing the way. . . [but] with a diffidence, kindness and politeness so unwavering (and often unwarranted) that Havel himself caricatured it some of his plays” (p.3). At age 19, when he fell in love with his life-long partner and wife Olga Šplichalová, Havel already had the “gravitas of really believing what he was saying” (p.53). Havel’s bourgeois background precluded him from being accepted in an arts and science faculty at a Czech university. He was able to gain admission to a program in the economics of transportation, an arcane field that did not interest him, and he dropped out to join the Czech military. After completing military service, Havel became a playwright and an established member of the “shadow, non-conformist, bohemian underworld” (p.41) of the Prague intellectual class. Whatever he did in the future, Zantovksy indicates, Havel’s loyalties always remained with this shadowy underworld. Havel’s plays explored how inauthenticity, alienation, the absurd, social isolation and depersonalization affected individuals in Czechoslovakia and totalitarian societies generally. In one of his best known plays, “The Memorandum,” Havel posed the question of “passive participation in evil” (p.93), a question that he would return to repeatedly. Havel sought to demonstrate how totalitarian control drives individuals to “isolation, and makes them fear, suspect and avoid others” (p.95). But the human capacity to “’live the truth,’ to reaffirm man’s ‘authentic identity’” constitutes in all of Havel’s plays what Zantovsky terms the “nuclear weapon” that “gives power to the powerless. As soon as the system is no longer able to extract the ritual endorsement from its subjects, its ideological pretensions collapse as the lies they are” (p.200). 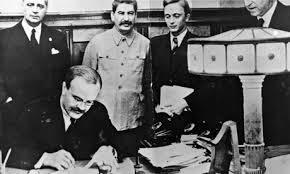 In the 1960s, Havel gradually became associated with dissident opposition to the Communist regime. With his principal themes of identity, responsibility and the elusive notion of “living in truth” by this time fully formed, Havel came to the hazardous conclusion that rather than “waste time by hopelessly tinkering with the [communist] system in the effort of making it livable and sustainable, it was necessary to replace it as a whole” (p.96). Havel became a full-fledged leader of the dissident movement at the time of the “Czech spring” of 1968, when the Czechoslovak government sought to institute modest reforms under the guise of “socialism with a human face.” In August of that year, the Soviet Union brutally suppressed the fledgling reform movement in one of the “most massive overnight military invasions in European history” (p.115). Twenty oppressive years of what the communists termed “normalization” followed. The early years of so-called “normalization” following suppression of the Czech Spring were for Havel a period of “shapeless fog” (p.132). But by the mid-1970s, Havel had become the driving force behind the Czechoslovak dissident movement. His essay, “The Power of the Powerless,” dissected the nature of the communist regime and argued that sustained opposition on the part of ordinary citizens could eventually topple it. Havel became one of the principal authors of Charter 77, written in late 1977 in response to the imprisonment of members of Czech psychedelic rock band. Charter 77 became the defining document of the Czech dissident movement and helped raise awareness in Western countries of human rights behind the Iron Curtain. The charter criticized the Czechoslovak government for failing to implement human rights provisions in its constitution and in a host of international instruments that it had signed. During his dissident years, Havel landed in prison on multiple occasions, the longest being nearly four years, between 1979 and 1983. While imprisoned, Havel wrote an extensive series of letters to his wife Olga, later published as “Letters to Olga” — “hybrids of creative writing, philosophy and political prose” (p.3). Although in jail when Czech dissident activities surged in the early 1980s, Havel was nonetheless directly or indirectly linked to these activities, as an “instigator, an inspiration, a spectator or as a friend. 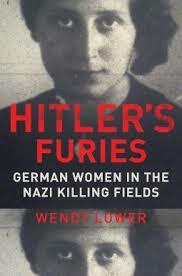 It almost appears as if he were a spider at the center of a web, spinning and waiting” (p.275). Around this time, Havel “must have realized himself that he was on a transitional trajectory from being an artist and dissident to becoming a politician” (p.275). 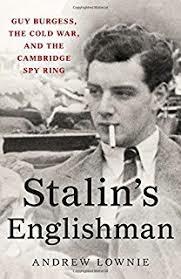 His prison experience had made him “uniquely well prepared for the single-minded focus towards the tasks ahead, culminating with his leadership of the Velvet Revolution” (p.231). 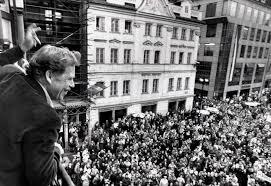 A dizzying six weeks after the Berlin Wall fell on November 9, 1989, Havel, leading a disparate group termed Civic Forum, became his country’s first freely elected president since the legendary post-World War I leader Tomas Masaryk. Havel “probably never dreamt about being president, nor did he particularly wish to assume the office. Throughout his life he thought of himself primarily as a writer; what people thought about his writing affected him much more personally than what they thought about him as a politician” (p.317). But in what Zantovsky terms the “reality play of his life,” Havel had “set the stage in such a way that, when the final act arrived, the logic of the piece inexorably led him to assume the leading position” (p.317) as the newly independent state set upon an uncertain transformation away from totalitarian rule and toward democracy. Both as a protester and as a politician, Havel advocated what Zantovsky terms “socialist humanism,” an idealized version of the social welfare states of Western Europe. Despite his voracious reading and self-education, when Havel became president he was “ignorant of the fundamentals of economic theory” and “totally unfamiliar with the practical workings of a real economy” (p.392-93). Only “grudgingly” did Havel come to “acknowledge, and even to respect the role of political organizations as agents of change and condensers of political energy” (p.204). In an interview after he left office, Havel said that his most serious mistake as president was that he had “not more energetically promoted his vision of a humanistic and moral society during his time as president.” To many people, especially his detractors, Zantovsky wryly notes, “he had done little else” (p.459). Havel seemed embarrassed by the power that his political position yielded, “always wary of trying to elevate himself or of exaggerating his own importance” (p.405). In leading the transition away from communism and toward democracy, one of Havel’s strengths, but arguably also a weakness, was that he rejected the “concept of the Enemy.” He consistently went out of his way to “understand rather than to demonize the motives of the other side and, if at all possible, always to extend to them the benefit of the doubt” (p.108-09). Havel’s conciliatory approach “led to accusations that he was soft on the exponents of the previous regime, or even that there was possible some secret collusion between them” (p.109). The most significant issue Havel had to deal with as President of Czechoslovakia was the Velvet Divorce, when a Slovak independence movement split the country in July 1992 into a new Czech Republic and a southern and eastern neighbor, Slovakia. Havel could not endorse separation, which “ran against the grain of his conviction, his philosophy, his understanding of democracy and his sense of responsibility” (p.419). But neither could Havel take a “heroic stand” against separation, “in view of the risks and uncertainties this would pose for 15 million of his fellow citizens” (p.419). 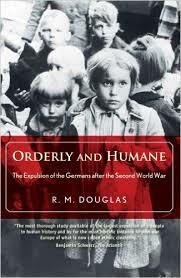 It was better to have two functioning countries than a single, dysfunctional one, Havel reasoned. Havel resigned as president of Czechoslovakia after Slovakia’s official July 1992 declaration of independence. He had no involvement in the working out of details of the separation over the following six months. But he was persuaded to run for the presidency of the new Czech Republic and became its first president in January 1993. As Czech President, Havel had a complicated relationship with Vaclav Klaus, his Prime Minister who went on to succeed Havel as Czech President in 2003. Klaus was in many ways the opposite of Havel. A free-market economist, Klaus battled with Havel over the “character of Czech society and over the values and principles it should abide by. For Klaus, these values could be reduced to individual economic and political freedom and a vague allegiance to the national community as the conduit of history, culture and traditions” (p.456). Klaus was a Eurosceptic, whereas Havel “emphasized time and time again the great opportunity that the process of European integration offered for ‘civilizational self-reflection,’ and promoted the idea of ‘Europe as a mission’” (p.449). Havel’s relationship with his Polish counterpart Lech Walęsa, another hero in Eastern Europe’s transition to democracy, was less complicated, in no small measure because Walęsa shared Havel’s dedication to European integration for former Warsaw Pact countries. Walęsa embodied the “heroic past of the Polish nation, with its brave if sometimes futile resistance to foreign oppressors,” whereas Havel “exemplified the fundamental unity of Central Europe with the rest of the West in terms of culture, philosophy and political thinking” (p.444). 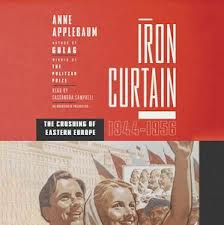 But despite differences in the two men’s character and outlook, they were a forceful single voice for expansion of NATO to Eastern Europe and accession of former Iron Curtain countries into the European Union, which both US President Bill Clinton and major Western European leaders initially opposed. Havel and Walęsa “complemented each other as well as any pair since Laurel and Hardy. 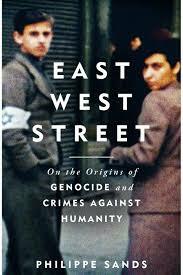 It is hard to imagine that the enlargement would have occurred without either of them,” Zantovsky contends. “If most of Europe today is safer than at any time in its history, it is not least thanks to the vision of statesmen like Bill Clinton, Lech Walęsa. . . and Václav Havel” (p.444-45). When Havel left the Czech presidency in 2003, he was a widely known and respected figure worldwide, and he traveled extensively throughout the world. His wife Olga had died in 1996 and Havel married an actress (Havel had more than his fair share of extra-marital affairs while married to Olga, which Zantovsky mentions but does not dwell upon). Havel became a Visiting Fellow at the Library of Congress in Washington, where he wrote a memoir, “To the Castle and Back,” which Zantovksy describes as an “existential mediation on the meaning of life, politics and love, for which the presidency is not much more than a backdrop” (p.504). He also wrote a play, “Leaving,” that seemed to foreshadow his own death. After several years of declining health, brought about in part by a lifetime of heavy cigarette smoking, Havel died at his country home in December 2011, age 75. Zantovsky summarizes the “remarkable balance sheet” of his former boss’ presidency by noting that Havel should be given credit for the “peaceful transformation of the country from totalitarian rule to democracy; [and] for building a stable system of democratic and political institutions, comparable in most respects, flaws included, to long-existing systems in the West” (p.497). Further, Havel “successfully brought the country back to Europe and made it an integral part of Western political and security alliances; and he remained an inspiration and identifiable supporter in the struggle for human rights and freedoms around the world” (p.497). Even the Velvet Divorce, Havel’s greatest setback as a political leader, was mitigated by its “peaceful and consensual character” (p.497). Yet Zantovsky also notes in his affectionate portrait that Havel “conspicuously failed at making the society at large adhere to his ideals of morality, tolerance, and civic spirit, but that said more about society than about him. 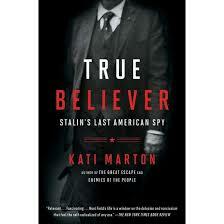 Arguably, he had never expected to succeed fully” (p.497). Today, the ideals of this enigmatic, brilliant man and reluctant politician seem far more elusive than in Havel’s time.